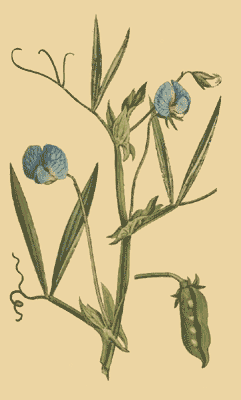 The Lathyrus sativus is the Voldemort of the lentil community. In India, the plant is better known as khesari dal. 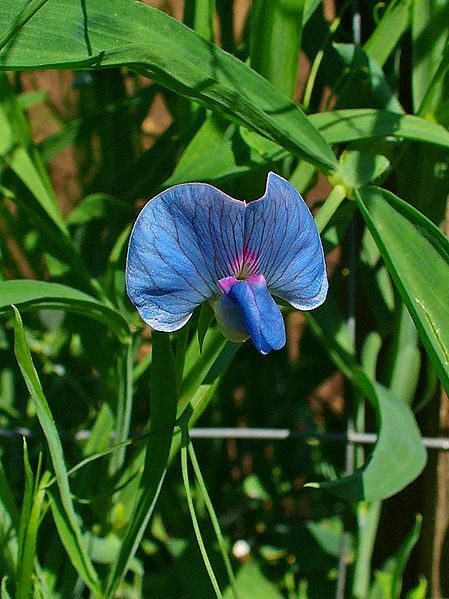 You might be familiar with her cousin, the equally toxic (but visually charming) sweet pea plant. Like most villains, the khesari is a tough little creature, and it manages to be one of the last to stick it out in times of famine. And that’s what it waits for: humanity’s weakest moment. When famine comes and individuals find themselves surviving on a diet of these pulses, they will likely develop a degenerative disease called Lathyrism. The toxin in the lentil hits the spinal cord and the lower limbs first, making it difficult for a person to walk. It eventually spreads and to cause convulsions, paralysis and even death. If not for its toxic blemish, khesari has the makings of both a super food and a wonder crop. Khesari contains the highest protein and iron content of any pulse. More importantly, it is drought and disease resistant and requires little care, making it an “insurance” crop in years when drought and disease decimate more delicate crops. For India, which each year faces a growing demand and supply crisis, khesari’s virtues are significant. India is the largest producer and consumer of pulses (crops harvested solely for their dried seed), and virtually all Indians include them in at least one meal each day, the poor relying on them more because they are a cheap source of protein. 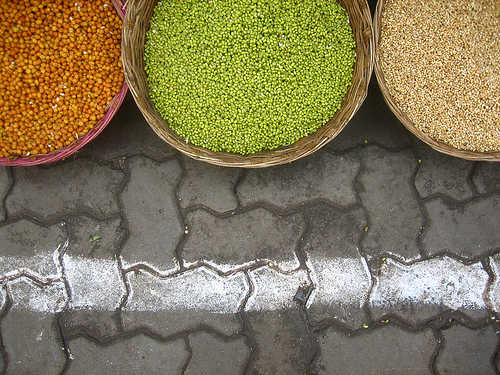 But of the million tons of lentils needed to meet demand, India produces only about half that much. Several successive years of poor lentil harvests compounded the problem, and India has lately taken to importing lentils from Ethiopia, Australia, and Canada. But importing isn’t cheap, and India’s least well off confront daunting prices at the market. In this climate, khesari seems only just out of reach for those trying to solve India’s food insecurity. Khesari has so much potential that Australian scientists have been working for years to develop a form of the plant that is safe for human consumption. It’s cheap. It’s abundant. It virtually grows itself. The only problem is. . . What’s a little toxin in the diet anyways, right? It’s the perfect money-maker. In small doses, the khesari is harmless. That’s exactly what landowners in the northern state of Madhya Pradesh considered. And they continued to cultivate the plant (flouting the ban), mixing the seed with more expensive pulses in order to cut their costs. The conspiracy becomes more insidious the deeper into Madhya Pradesh you go. In nearly every state in India, bonded labor is alive and thriving. Men, women, even children become virtually slaves after being hoodwinked into taking on an astronomical loan from a person who promised to find them work. In the typical story of a bonded laborer, the individual becomes indebted to an employer, working off the loan for years, even decades. The practice often occurs deep in the countryside where fewer watchdogs are around to notice the illegal activity. In Madhya Pradesh, powerful landowners rely on the system for cheap labor, and khesari has become the “fixed” form payment. For the landlord, khesari costs next to nothing to use as a way to “pay” his laborers. And for the laborers khesari does little more than provide a cheap meal. Because it is plentiful and virtually worthless, it can’t be used for trade or to pay off their debts. And so it becomes a significant portion of their diet. Now these vested interests want to expand the khesari market to a larger group of underprivileged Indians. They charge that there has never been any credible link between Lathyrism and the khesari plant. And they are inadvertently helped by a small group of scientists. The group has brought at least one Indian state government to court to force a lift of the ban. Because khesari can sell at less than half the cost of typical pulses, they claim, its availability is crucial for the rural poor. The argument is compelling until you find out that the group’s spokesperson, Dr. Shantilal Kothari, also believes that iodized salt is a Western conspiracy to keep India indebted to the World Bank and that no credible link exists between HIV and AIDS. The court case has so far been at a standstill because, conveniently, the government has been unable to locate the original file which motivated the 50-year old ban. Although the scuffle over khesari is playing out in Madhya Pradesh, two other states in India have never banned the khesari plant. I bet you can guess what one of them is. The decision to not ban khesari in West Bengal is likely a result of the presence of a large number of East Bengalis (former residents of what is now Bangladesh) in the state. East Bengalis count for at least a quarter of the West Bengal population. Their eating traditions include serving khesari dal, and so the disease is still prevalent among this group. For today, I’ll leave you with Surya’s signature dal, a version of a West Bengali favorite. Boil the lentils with water, turmeric, and salt (Be careful, as the stuff tends to boil over the pan) until the lentils are soft and liquid-y. Meanwhile, on a frying pan, heat a little oil. Put the cumin seeds in until they begin to pop. Add the ginger, onions and fry until the onions are translucent. Add tomatoes, (coriander powder, optional) and fry on medium flame till tomatoes are soft. Add the mixture to the boiled lentils, stir and boil for a few more minutes. Before serving, add chopped coriander to taste, a little ghee and the garam masala.